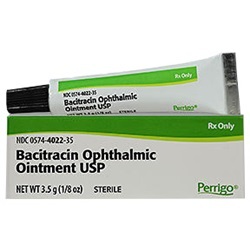 Sterile Bacitracin ointment in 3.5 gm tube. 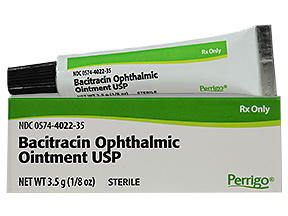 Manufactured by Perrigo. NDC Number: 00574402235. Comes as singles.